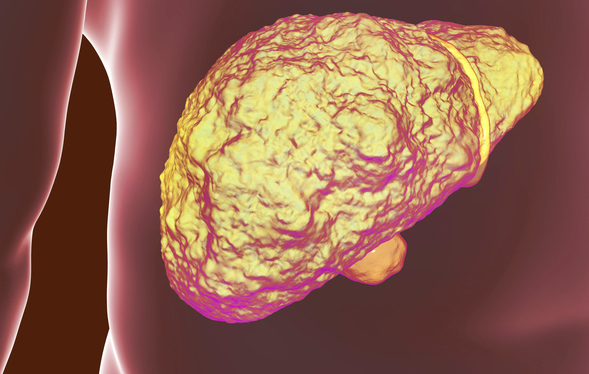 Cirrhosis is a growing epidemic in the U.S. and is hallmarked by the presence of scar tissue on the liver. When severe, it can often lead to liver failure. Complications of cirrhosis can include infections throughout the body and hepatic encephalopathy, a buildup of toxins in the brain caused by the advanced liver disease. Symptoms of hepatic encephalopathy include confusion, mood changes, and impaired cognitive function. Previous research uncovered that people with cirrhosis have changes in the gut and salivary microbiota, which can lead to gum disease and a higher risk of cirrhosis-related complications. Also, studies have found that people with cirrhosis have increased levels of inflammation throughout the body, which is associated with hepatic encephalopathy. In the current study, the VCU researchers studied two groups of volunteers that had cirrhosis and mild-to-moderate periodontitis. One group received periodontal care (“treated”), including teeth cleaning and removal of bacterial toxins from the teeth and gums. The other group was not treated for gum disease (“untreated”). The research team collected blood, saliva, and stool samples before and 30 days after treatment. Each volunteer took standardized tests to measure cognitive function before and after treatment. The treated group, especially those with hepatic encephalopathy, had increased levels of beneficial gut bacteria that could reduce inflammation, as well as lower levels of endotoxin-producing bacteria in the saliva when compared to the untreated group. The untreated group, on the other hand, demonstrated an increase in endotoxin levels in the blood over the same time period. The improvement in the treated group “could be related to a reduction in oral inflammation leading to lower systemic inflammation, or due to [less harmful bacteria] being swallowed and affecting the gut microbiota,” the research team wrote.